The fight to free the WikiLeaks whistleblower continues in the courts of law and public opinion — but justice is expensive. By Charles Davis, May 20, 2015 . 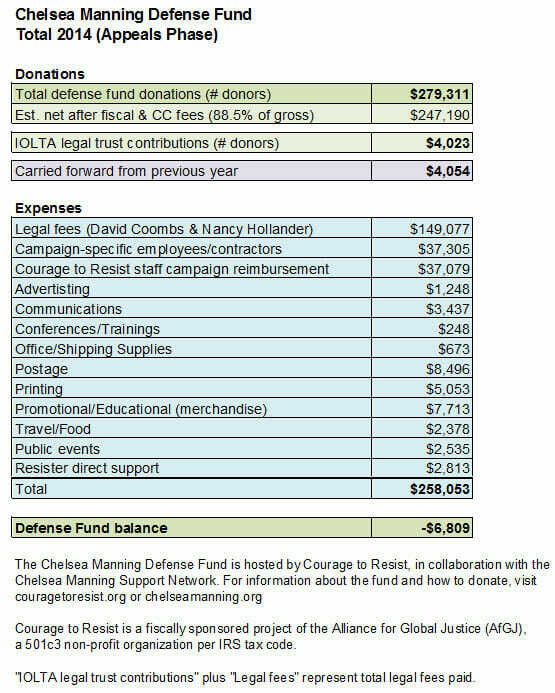 Donations to support Manning’s defense can be made to the Chelsea Manning Defense Fund. One can also donate to a legal trust, 100 percent of the contributions to which are used to cover legal expenses, by making a check out to “IOLTA / Manning” and sending it to: Courage to Resist, 484 Lake Park Ave. #41, Oakland, CA 94610.